The Copyright Office says in its report to Congress that it is making no recommendation for legislation because of the lack of consensus among stakeholders. But that’s not a sufficient explanation: the Copyright Office has made recommendations on other hotly disputed issues such as “orphan works“. It’s not clear at whose urging the Copyright Office initiated its policy study of ECL legislation as a framework for mass digitization. But it’s clear from the terms of reference established by the Copyright Office for its study that the Copyright Office supported mass digitization of library collections, supported ECL for that purpose, and wanted to come up with a draft bill it could propose to Congress to establish such a scheme. 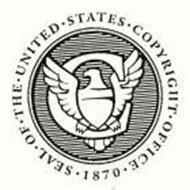 We’re pleased that the Copyright Office has abandoned (at least for now, and at least in terms of its public statements) its push to draft and build support for such a law. We’ll take that as a victory. We opposed the original initiative by the Copyright Office, and we would have opposed any legislative proposal for ECL for mass digitization. We support writers’ efforts to digitize and generate new revenues from new digital editions, forms, and formats of their previously published works. We support collective licensing, and we support ECL for secondary rights such as reprography (photocopying), that writers are typically unable to exploit individually, and that add to, rather than substitute for revenues from primary rights. But we believe, and we told the Copyright Office, that digital rights are inherently primary, substitutive, and therefore inappropriate for ECL. Writers can, and often do, exploit or license digital rights directly, and distribute and generate revenues from digital forms and editions of their work, to and from readers worldwide, without the need for collective licensing organizations (or, often, for publishers) as intermediaries. Digital copies authorized by ECL licenses are likely to divert readers from existing digital editions, where they exist, and reduce rather than add to writers’ total revenues. Digital collective licensing should be on a opt-in basis, not an ECL basis under which a writer has to discover that the scheme exists, and opt out, to avoid having her work included. We will continue to work for collective licensing systems that recognize this and respect writers’ rights.